The Mages of Bennamore is the third book set in the Brightmoon world. The story starts just a few months after the events of The Fire Mages, but it’s a stand-alone book, with a completely different location and a new set of characters; you don’t need to have read either The Plains of Kallanash or The Fire Mages first. However, if you have read one or both of the other books, you will recognise some characters, objects and references in the story! Admire the cover in hi-res. You can read the first four chapters here. A fragile peace. A clash of magic. A woman with secrets. Fen’s used to hiding away in her coastal town, keeping her past and her magic far from prying eyes. 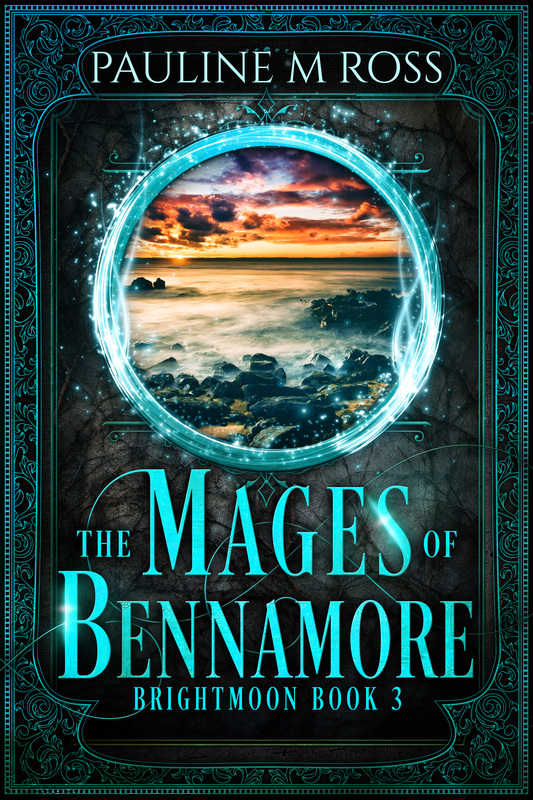 But the aftermath of the brief war with Bennamore pits her against a different kind of magic, and throws her quiet life into turmoil, threatening to expose all her secrets. Mal’s job as guard to the mages of Bennamore has always been, frankly, a bit dull, but that was before they were sent to bring magic to the resentful coastal folk. Before he knows it, he finds himself in the middle of riots, disappearances and thievery. And then there’s the infuriatingly snooty Fen, a woman he’d love to tame. The two will have to overcome their mutual dislike and join forces to untangle the dragon’s nest of deceit around them, or else their two countries will be plunged back into disastrous war. 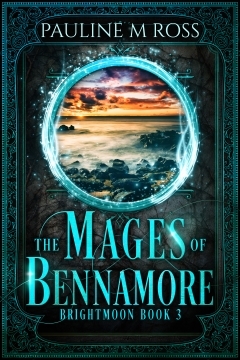 The Mages of Bennamore is written by Pauline M Ross, with cover design by Deranged Doctor Designs and proofreading by Coinlea Services.